My spine condition has kept me out of work for some time. When can I get back to work, and how will I know I can do my work safely? Physical and occupational therapists use their knowledge of human movement, ergonomics, injury prevention, and treatment of work-related accidents and injuries to make sure their patients are safe when returning to work. To understand the type and nature of your job, your therapist may ask you several questions. The information you give can help your therapist design exercises that are similar to your tasks to help prepare you for a safe return to your job. Your therapist may want to go to your worksite and watch how your work tasks are done. This will give your therapist information about risks and whether any changes need to be made. Even small changes in the way your workstation is designed or how you do your job can make a big difference in your comfort and safety at work. You may need to participate in a physical capacity evaluation (PCE) before going back on the job. This type of testing takes up to five hours and is sometimes done over the course of two days. The PCE measures your physical abilities when doing various work tasks. The results of the test can give everyone involved in your recovery a clear picture of your ability to do your job tasks safely. This is a way to protect you from going back to a job that is too challenging or that could lead to re-injury. If so, your therapist can help by making suggestions of ways to change your job or work tasks so you can return to work safely. Is ‘correct’ posture really that important to the health of my spine? Using healthy posture is like holding a defense shield against aches and pains in your spine. Pain and injury CAN be prevented. When your joints are positioned in their safe — or neutral — postures, your body works like an elegant machine. It works safely and even more productively. When unbalanced postures are used, problems are more likely to happen. Prevention of pain and injury has a lot to do with keeping a balanced position in your spine and extremities. Are abdominal ‘crunch’ exercises the best way to keep from having low back pain? Not necessarily. Abdominal crunches do help strengthen the upper abdominal muscles. But many people with chronic back pain already have fairly strong upper abdominals. Chronic back pain has been linked to a loss of muscle quality and nerve function in the lower abdominals. These problems in the lower abdominals mean that other muscles, including the upper abdominals, must take over and do more of the lower abdominals’ job. Should I lock my feet when doing a sit up? Some ways of doing a sit up can hurt your low back. The old way of doing sit-ups with your feet locked under a bar or held by a partner can be unsafe because it allows your larger and more powerful hip flexor muscles to take over if you have weak abdominal muscles. If the large hip flexor muscle, which attaches to the front and sides of your lumbar spine, overpowers your abdominal muscles, your low back can hyperextend. Overworking the hip flexors can lead to a muscle imbalance of tight hip flexors, tight back extensors, and weak abdominal muscles. This can lead to a back problem and may make an existing back problem worse. It is recommended that a “crunch” exercise be used instead. To do this, keep your low back in a safe, mid-line position. Do not secure your feet, and only do a “partial” sit-up. What exercises should I continue doing to keep my low back toned and healthy? Common factors in chronic and recurring back pain include weak abdominal and trunk muscles, unhealthy posture, and overall deconditioning due to lack of exercise. Exercises should be chosen to offset each of the problem areas that contribute to back pain. Lumbar and abdominal stabilization: Studies show that exercise training for the abdominal and low-back muscles can improve back stability, reduce pain, and make it easier to do activities of daily living. Postural exercises: Putting safe posture in action is important to protect your back from small injuries that add up when the spine is strained in awkward or stationary postures. Aerobic conditioning: A well-rounded program for maintaining a healthy spine should include some form of aerobic exercises. Examples may include walking, cross-country skiing, or swimming. It is important that you choose an aerobic activity you enjoy, so you’ll stick with it. Remember to check with your doctor or physical therapist before beginning an exercise program. Will a support belt or brace keep my low back safe when I lift at work? Unless you have had a significant spine injury, you probably do not need to use a support belt when lifting at work. Support belts have not been shown to effectively reduce back injuries among workers who lift. Actually, workers who use these devices often gain a false sense of security and may hurt themselves by lifting too much. Long-term use of a lumbar support belt has been shown to actually weaken abdominal and back muscles. This is because the brace becomes the source of support instead of your trunk muscles. A brace may be prescribed if you have had a recent or severe spine injury. However, you will likely be instructed to use it on a short-term basis only and to continue with an abdominal strengthening program. I can’t get comfortable in bed. Do I need a special mattress or pillow? Choosing a supportive mattress and pillow may help you get a better night’s sleep. A soft mattress or un-baffled water bed might not give you the support you need for your spine. You can try these tips to give your spine some extra support while in bed. Low Back Support — when lying on your side, slide a small pillow or rolled towel just above your waist, and put a pillow between your knees. When lying on your back, you can try putting a small pillow under your knees. Neck Support — neck rolls, cushions, and pillows can be used to give your neck extra support while you rest. One option is to roll a mid-sized bath towel and slide it length-wise between your pillow and pillowcase. The roll can help support your neck as you lie on your back or on your side. If you lie on your stomach, arrange your pillow to keep your neck from turning all the way to one direction. Avoid foam pillows because the foam pushes against the pressure of your head and keeps your neck muscles from getting a good rest. Choose a feather or synthetic material for added comfort. Both my parents have osteoarthritis. Does the pain in my upper back mean that I’m getting it too? Not necessarily. Upper back pain has a variety of causes. Osteoarthritis (OA) is only one of many possibilities. Because OA has been linked to heredity, your symptoms may be the result of a cartilage problem that has been passed on to you through your family genes. Usually, people develop OA as they grow older. The joint changes that happen with OA are often described as “wear and tear,” much like a machine that wears out over time. It is estimated that OA affects more than one-third of all people over the age of 60, and more than 80% of people over age 70. Your pain may have started from a strain to your upper back, poor posture, weakness in the muscles of your upper back, or even a problem in your neck. Your doctor can determine the cause of your upper back pain and help you find ways to ease the pain and prevent future problems. I’ve had back pain off and on for years. Why does it keep coming back? It is estimated that 80% of people will have a significant episode of back pain. This is not a simple backache, but pain that limits your ability to participate in leisure, recreation, or work activities. After you have had a pain episode like this, there is a 90% chance that the pain will happen again. This is called recurring back pain. It can happen when you are starting a new or seasonal activity, when you lift incorrectly, or when you use awkward postures. If a weak disc has started to bulge, these types of activities can put extra pressure on the weakened disc, expanding the bulge. The bulge can bring on the pain by putting pressure on the joints, nerves, or ligaments of your low back. With time or treatment, the bulge may get smaller and the pain may go away. Back pain that comes and goes can also happen when the muscles or ligaments are not able to control the movement of a spinal vertebra, leading to spinal instability. Ligaments connect bone to bone, helping to limit the amount of movement of a joint. If a ligament has been stretched, it loses its ability to hold the joint stable. Your abdominal and low-back muscles provide support for your lumbar spine much like guide-wires hold the mast of a ship. If your abdominal muscles are weak from postural changes or from not being exercised, the unstable vertebra can cause recurring pain. Daily activities can put extra strain on unstable joints, leading to extra wear and tear. It is like driving around with loose lug nuts on the wheel of your car. After a while you start to notice abnormal wear and tear. Whether the problem is from a weakened disc or from a spinal instability, you may benefit from physical therapy to strengthen and stabilize your lumbar spine. Are there other medical professionals who may be able to help me deal with my chronic spine pain? When will the pain in my spine go away? Identifying and getting treatment for the condition that is causing your pain is an important first step toward controlling spine pain. The treatment and reassurance from your doctor can help get you on the road to recovery. Sometimes these are all that are needed to help your pain go away completely. In fact, many people who experience mild back pain for the first time become pain-free within six to eight weeks without treatment. Yet spine pain is not predictable most of the time. Your doctor will have a better idea of your recovery time when your medical exam is completed. The goal of treatment will be to help you control your pain and get back your best possible function, even if your pain does not go away completely. I have pain at work. Is there anything that can be done to help me work with less pain? To understand the type and nature of your job, your physical or occupational therapist may want to ask you a variety of questions. The information you give can help your therapist design exercises to help you control pain at work. If needed, your therapist may want to go to your worksite and observe how your work tasks are done. This can give him or her important information about risks, and whether any changes need to be made. Even small changes in the way your workstation is designed or how you do your job can make a big difference in your comfort and safety at work. Assessing where and how a person does work is called ergonomics (air-go-nom-icks). What should I expect on the first visit to my doctor? Your doctor will begin by getting your complete health history, followed by a physical examination. The history and physical examination are needed before your condition can be accurately diagnosed or treated. By getting this information, your doctor can begin to determine the source of your problem. When did your pain first begin? Was there an injury that may have caused your pain? Are you aware of work postures or other factors that may be causing your pain? Do you have a family history of similar problems? Does the pain radiate to other parts of your body? What makes the pain feel better or worse? During your first visit to the doctor, he or she may also order some tests to help with your diagnosis. These tests may include an x-ray, CT scan, MRI, EMG, or blood test. Should I just lie in bed and avoid exercise if I am having extra back pain? Your physical therapist (PT) may suggest short periods of rest followed by brief exercises designed to reduce your pain. Prolonged bed rest is not healthy and can cause your muscles to weaken and your joints to get stiff. Any exercises you do should be done only under the direction of your doctor or PT. Extra pain after these or other exercises usually indicates that you are overdoing it. You may need to change the number of repetitions, the amount of pressure applied, or how often you are doing the exercises. Talk to your doctor or PT if you are having extra pain after exercising. What hobbies and recreational activities should I avoid? For people with back or neck pain, the answer to this question is “It depends.” It depends on the stress of the activity you have in mind, and the type of back or neck problem you have. Most people can return to hobbies and activities they enjoy by getting warmed up first. You should begin in a gradual, guided manner to avoid injury and complications. Be aware of your limitations and safety. Avoid activities that strain your spine or increase your pain. Walking is one of the best activities you can do throughout and beyond your rehabilitation. The natural trunk motion helps flush out any swelling or extra chemicals that can build up and cause pain. Walking provides safe weight bearing for your joints, and helps you manage day-to-day stress. Swimming is also an excellent activity choice. The buoyancy of the water lowers stress on your joints and enables you to move more freely. As with any system of exercises, consult your doctor or PT first. What can I do if my pain comes back or gets worse? Once you have had an episode of back pain, the chance of having pain again is very high—about 90%. The goal of your physical therapy program is to help you learn to use ways to prevent future pain and injury as well as to relieve any future pain you may have. If your back pain strikes again, avoid activities, positions, or movements that make the pain worse. Give your sore back or neck a chance to rest. You may get some relief with short periods of rest in a comfortable position. For the first two or three days, you may get relief by applying a cold pack. Once the early pain symptoms are controlled (two to three days), you may get good pain relief by using a hot pack or heating pad. If using a heating pad, remember to turn it off before going to sleep. Check your skin regularly to make sure you are not getting too much heat. Some exercises are designed to help take pain away. After you have completed your physical therapy treatments, your physical therapist (PT) can go over the exercises that will give you the best pain relief in case you get sore again. Remember to do your exercises exactly as your PT showed you. Overdoing them could make your pain worse. Remember to use healthy posture, body movement, and safe lifting techniques with all your activities. If you are trying to take care of your back or neck but are still not getting relief, you may need to see your doctor or PT again for additional help. How will I know whether surgery is needed? The first decision that must be made is whether your problem is very serious, or less serious. Some problems need immediate attention—possibly even surgery. For example, if you have significant muscle weakness or have nerve pressure that is affecting your bowels or bladder, you may require immediate surgery. If you have pain that cannot be tolerated or you are unable to gain reasonable function for daily activity, surgery may be suggested. The good news is that the majority of back problems do not require surgery. Once the most likely cause of your problem has been determined (once your diagnosis is made), you and your doctor can decide on a plan for taking care of your back now and into the future. A variety of treatment options exist for different types of back pain. In most cases, conservative therapies such as mild pain medications and rest are effective in relieving the immediate pain. The overall goal of treatment is to make you comfortable as soon as possible, design a program to reduce further pain and injury, and get you back to normal activity as soon as possible. The more you know about how your back works and what you can do to prevent further injury, the better your program will work. What can I do to keep from making my pain worse? Learn to move without straining your back. When getting in or out of bed, use the “log roll” technique. Roll to your side and sit up while keeping your back steady and secure. Instead of twisting your upper body when you roll to one side, try to roll your whole body as a unit, like rolling a log. When you sit or stand, try to keep your back straight and bend forward at the hips. Also, keep your back straight or use a grabber to avoid bending over at the waist to put on your socks and shoes, or to pick up items from the floor. If you must bend, try to keep your back straight and secure as you bend forward at the hip joint—not your back. Do not test your back by trying to see how much you can lift or carry. If you must pick up or carry lighter items, squat down by bending your knees. Do not lean forward by bending at your low back. When you lift, keep the item in close to your body, even if it is light. Holding the weight out in front of you puts extra strain on your low back. Check with your doctor or physical therapist if you have any questions about the safety of lifting or carrying. A second possibly serious condition is called cauda (caw-da) equina (e-kwine-a) syndrome. This can happen when a herniated disc in your low back gets so big that it fills your entire spinal canal. The immediate pressure on the nerves in your spine may cause paralysis of the muscles that control your bowels and bladder. People with back pain who lose control over their bowels or bladder should contact their doctor immediately. This requires immediate medical attention because, if the pressure is not relieved right away, the nerves that go to your bowels and bladder can be permanently damaged. Your doctor may want to do tests and ask you questions to rule out other causes of your spine pain. Blood tests can be done to check for infection or arthritis. X-rays can rule out tumors or cancer. Your doctor may want to know whether you have had any recent weight loss or weight gain, whether your pain wakes you up at night, and whether your pain changes as you move or rest. Ruling out possibly serious conditions for your spine pain can increase your confidence and help you in the healing process. When the source of pain is more toward the surface of your body, your brain has an easier time figuring out where the pain is coming from. A pinprick on your palm hurts right where the pin sticks your hand. The source of pain is usually deep and toward the center of your body. It is often felt as a vague, deep, burning, or aching pain. Treatment for referred pain must address the source of pain. If your doctor determines that your arm pain is coming from your neck, you will need treatment for your neck, not your arm. Helping your neck problem should take away or reduce the pain in your arm. If you simply stop walking and the pain goes away quickly, the problem may not be in your back. It may be from a lack of blood supply to your exercising muscles, a condition called intermittent claudication (claw-di-cay-shun). Leg symptoms of aching, cramping, or tiredness usually start soon after exercising, and they go away quickly with rest (usually in less than five minutes). Unlike spinal stenosis, people with intermittent claudication usually get relief if they stop the activity, even if they do not sit down. The lack of blood supply is usually from hardening in the blood vessels that supply the lower limbs, a condition called arteriosclerosis (are-teer-eyo-skler-oh-sis). Whether your pain is from spinal stenosis or intermittent claudication, you should see your doctor. What does a CAT scan show? A CAT (computer-assisted tomography) scan is a type of x-ray that is actually a cross between an x-ray and an MRI (magnetic resonance imaging) scan because it shows bones and soft tissues. The CT scan creates images in “slices” that can show disc problems and degeneration of bones including bone spurs and facet hypertrophy (enlargement). CAT scan images are not as clear as x-rays or an MRI. To make the soft tissues easier to see, the CAT scan is often combined with a myelogram (my-low-gram), in which special dye is injected into your spinal canal to make the images easier to see. Bone scans are used to locate problem areas in your spine. A radioactive chemical (sometimes called a tracer) is injected into your bloodstream. Pictures are then taken of your skeleton using a special camera that can capture the radiation of the tracer. The image will show dark areas where there is highly active bone. The dark spot is a “hot spot” where bone is changing rapidly, perhaps because of overuse, a compression fracture, a bone tumor, or osteoporosis. After locating a hot spot with the bone scan, your doctor can do other tests to make a final diagnosis. I have an injured disc and my doctor said I needed to have a discogram test. What is a discogram, and what will it show? A discogram uses x-ray and a special dye injected into the center of the injured disc(s). The dye makes the disc clearly visible on x-ray film and a fluoroscope screen. The discogram can help your doctor diagnose which disc(s) are damaged and whether you will need surgery. The discogram is better than an x-ray or myelogram for determining whether there is a disc problem, because a plain x-ray shows only the vertebrae, and a myelogram only shows whether the disc has entered the spinal canal. What does EMG stand for, and how will this test help my doctor diagnose my condition? EMG is short for electromyogram (elec-tro-my-oh-gram). This is a test that looks at the function of the nerve roots leaving your spine. Tiny electrodes are inserted into the muscles of your arm. If a nerve is irritated from pressure as it leaves your neck, the EMG will show abnormal signals in the muscle. Think of how you test the wiring on a lamp. If you place a working bulb into the lamp and the bulb lights up, you assume that the wiring is OK. But when the bulb does not light up, you can assume that something is probably wrong with the wiring. Either the lamp is unplugged, or there is a short circuit. Like the light bulb in the lamp, the EMG checks your muscles to make sure the nerves that supply the muscles are working. If the EMG shows abnormal signals in your arm muscles (the light bulb), your doctor may assume that the nerves (the wiring) may be irritated or “pinched” somewhere between your neck and the muscles that were tested. This is the first time I’ve had low back pain. Will I have to have X-rays on my first visit to the doctor? X-rays are used to show the alignment of bones and to check for fractures, tumors, and infections. Unless your doctor suspects any of these problems, you probably will not have X-rays taken on your first visit. An MRI (magnetic resonance imaging) scan creates computer-generated images of soft tissues. Using magnetic and radio waves, these images appear as layered “slices” that show muscles, tendons, nerves, and blood vessels. The MRI can show whether an intervertebral disc has lost water content. The images can also help identify facet joint hypertrophy (enlargement), stenosis (narrowing of the spinal canal), and herniated disc (protrusion or rupture of the intervertebral disc). My doctor said I need to have a spinal tap. What is this test, and why do I need it? A spinal tap is used to get a sample of the cerebrospinal fluid that surrounds your spinal cord. The fluid is usually very clear, and it contains proteins, sugar, and other substances that can be found in blood. It typically does not contain red blood cells or many white blood cells. A spinal tap checks the pressure and content of the fluid. Your doctor may do a spinal tap to check for bleeding, an increase in white blood cells, an increase in protein level, or inflammation. All of these are signs that you might have an infection, a tumor, or bleeding around your brain or spinal cord. To get the fluid sample, your doctor will insert a needle into your spinal canal in the lumbar region. How will my doctor begin to examine my spine? Spine motion – Do you have pain when you twist, bend, or move? If so, where? Have you lost any flexibility? Weakness – Your muscles will be tested for strength. You may be asked to push or lift your arm, hand, or leg against resistance. Pain – Your doctor may try to determine whether certain areas of your body are sore or tender to the touch. Sensory changes – Can you feel different sensations in certain areas of the feet or hands? Reflex changes – Your tendon reflexes may be tested below your knee or behind your ankle. Motor skills – You may be asked to walk on your toes or heels. Special signs – Your doctor may check for any “red flags” that could indicate there are problems other than with your spine or vertebrae. Some signs of other problems include tenderness in certain areas, a fever, an abnormal pulse, chronic steroid use (which can cause you to lose bone mass), or rapid weight loss. After your physical examination, your doctor may want to do some tests to help make the diagnosis. These tests may include an x-ray, MRI scan, CT scan, and lab tests. The X-ray image is a picture of your bones. It is a useful way to check for fractures, spine deformities, and diseases of the spine (like osteoporosis). The x-ray image shows the alignment of your spine and whether there are signs of spine instability or degeneration in the bones of your spine. Degenerative changes appear on x-ray as enlargement in the facet joints, narrowing of the space between the vertebrae, or bone spurs. Your doctor may also have X-rays taken if infections or tumors are suspected. After examining me, my doctor said that what I thought was a back problem was a sacroiliac dysfunction. What is a sacroiliac dysfunction? Dysfunction means that something in your body is not working right. The joints formed by your pelvis and sacrum may cause pain or movement problems. This may be due to inflammation or pressure on the soft tissues and muscles that make up the sacroiliac (SI) joint. The SI joint can cause pain by itself, or your pain may be caused by your SI joint together with other spine problems. Additional testing can help sort out problems in your SI joint and whether you are having other problems in your low back. SI joint dysfunction can come from changes in the way your pelvis lines up with your tailbone (sacrum). Changes in pelvic alignment can put extra stress on the ligaments that support your pelvis and sacrum. Medical and therapeutic treatments are available to improve the alignment and function of your SI joint, to relieve your pain, and to prevent future problems. I have degenerative disc disease with spurs in my back and neck. Will I have more pain as I get older? Not necessarily. The idea of “degeneration” gives an image that the bones of the spine are pretty much falling apart. Actually, changes in your spine are a common part of the aging process. Sometimes spurs can lead to more pain, but there is no guarantee that pain will happen. Some people who show spurs on x-ray have pain, but others do not. An exercise program focusing on mobility, strength, and good posture and body movement can help you prevent future problems. Also, the aging process itself can help stop pain. Aging tissues lose water content and become generally stiffer. Structures that do not move do not usually cause pain. The best advice is to keep active, exercise regularly, and see your doctor if you have pain or difficulty that you cannot manage yourself. My doctor said pain in my calf and foot was caused by a herniated disc in my low back and she referred me to a spine specialist? Can this be true? When a disc herniates, the jelly-like material in the center of the disc squeezes through the torn outer ligament. The herniated nucleus presses on the nerve, joint, and ligaments. The location and amount of pressure will determine where you feel the pain. A herniated disc in your lower lumbar spine can be felt as pain as far down as your calf. If the pressure is severe, you may even feel the pain in your foot. This type of pain is called referred pain. It is often felt as a vague, deep, burning, or aching pain (in your thigh, calf, or foot). Intense pain radiates further down your leg. Treatment for referred pain must address the source of the pain. If your doctor has determined that your calf and foot pain are coming from your back, you will need treatment for your back, not your leg. My MRI Scan showed that I have a bulging disc in my lower back. Should I see a spine specialist? Not necessarily. Studies show that many people have a “bulging disc” but have no pain or problems at all. The fact that you have a bulging disc is not necessarily a problem, but if you have symptoms of pain, numbness, or weakness, you should see a doctor or a spine specialist. My X-rays showed that a vertebra in my low back is slipping forward. Will this get worse and will my spine eventually slip off? Your doctor may be describing a spine condition called spondylolisthesis (spon-dil-low-liss-the-sis), which is when the bones in your spine slip out of line. This condition often begins as a stress fracture in one pedicle of a vertebral body, called a spondylolysis (spon-dil-low-lie-sis). The pedicle connects to the vertebral body and is part of the bony ring that forms the spinal canal. If the fracture is on both pedicles, it is called a spondylolisthesis , and the facet joints are not able to hold the vertebra from slipping. The forward pressure stretches the disc. In adults, this stretching usually allows only a small amount of forward slip without the risk that the upper vertebra will slide off. In teenagers, there is an extreme form of spondylolisthesis in which the upper vertebra slips completely off the lower vertebra. Your condition may not get worse, but you will have a higher risk for developing chronic low back pain. A supervised program of physical therapy will help you learn which postures to avoid and what exercises you can do to help stabilize and protect your back. My doctor has suggested a cortisone injection for my back. What are the risks of having a cortisone injection? Cortisone is a steroid. Steroids have gotten a bad reputation because of some really bad side effects suffered by people, such as body builders, who take steroid pills for a long period of time. One or two injections of cortisone into a sore joint or aching back do not carry the same risks. However, there are risks associated with cortisone injection. These risks include infection, bleeding, and headache. Studies show that Glucosamine can help relieve the pain of knee osteoarthritis. However, these were short-term trials spanning a four to eight week period. Since osteoarthritis is a chronic problem, more studies will need to be done to investigate the long-term benefits of Glucosamine. A second question is whether people with osteoarthritis of the spine will get the same benefits as those with knee osteoarthritis. At this time, no one knows for sure. Some doctors feel there are enough benefits to encourage their patients to supplement with Glucosamine. Although you may find some relief, there are no studies yet that show with certainty that your back pain will be relieved by taking Glucosamine. As with all medications, be sure to discuss the use of Glucosamine with your doctor before beginning to take this supplement. Can I just use a brace to take my low back pain away? Your doctor may prescribe a supportive brace to help rest your spine, especially if you are feeling severe pain or have increased pain with movement. Using the brace for a short period of time may help you avoid extra movement and give your spine time to heal. You should remove the brace several times each day in order to do some gentle range of motion exercises. Long-term use of a brace can weaken your spine muscles and make your problem worse instead of better. Ice is generally prescribed in the early stages of healing. This period begins at the time your pain or injury starts and lasts up to three days. The cold temperature makes your blood vessels in the sore area vasoconstrict (vase-oh-con-strict ) (become narrower), which helps with the initial stages of healing. Cold treatments can include cold packs or ice bags, which are usually put on the sore area for 10 to 15 minutes. Heat is generally used after the early stages of healing are over. Heat makes your blood vessels vasodilate (vase-oh-dye-late) (get larger). This helps flush away chemicals that can cause pain. It also helps to bring in nutrients and oxygen, which help the area heal. True heat in the form of a moist hot pack, a heating pad, or warm shower or bath, is better than creams that give the feeling of heat. Hot packs are usually placed on the sore area for 15 to 20 minutes. When using heat, you must be careful to make sure your skin does not overheat and burn. It is also not a good idea to sleep with an electric heating pad at night. This can cause the “lobster effect” where your skin becomes red and actually burns from the prolonged heat. As long as I have therapy I feel better. Can I keep coming once each week? Some of the treatments your physical therapist (PT) uses are designed to give you relief from your symptoms. It is hoped that your treatments will give you a longer and longer period of relief between your scheduled visits. As you show steady signs of improvement in controlling symptoms and doing home exercises, your PT will schedule your visits further apart. The goal is to help you learn to manage your condition, even in the unfortunate event that your symptoms do not go away completely. Eventually, you may only need a visit every so often to refresh your exercises and to go over any new concerns you may have. Otherwise, people do not usually continue physical therapy on an ongoing basis. Is there anything I can do now to help ease my pain? Something you can do right away to relieve your pain is to use heat or ice. Cold treatments are usually used right after back pain or injury begins. The cold temperature makes the blood vessels in the sore area vasoconstrict (vase-oh-con-strict) (become narrower). This helps your body in the initial stages of healing. Cold treatments can include cold packs or ice bags, which are generally put on the sore area for 10 to 15 minutes. Heat can be used after the early stages of healing are over—usually at least two or three days after the injury or pain began. Heat makes blood vessels vasodilate (vase-oh-dye-late) (get larger). This helps your body flush away chemicals that can cause pain. It also helps to bring in nutrients and oxygen, which help the area heal. True heat in the form of a moist hot pack, a heating pad, or warm shower or bath, is better than creams that give the feeling of heat. Hot packs are usually placed on the sore area for 15 to 20 minutes. Be careful that your skin does not overheat and burn. It is also not a good idea to sleep with an electric heating pad at night, which can lead to the “lobster effect” where your skin turns red and actually burns from the prolonged heat. My friend told me about a TENS unit she uses for her back pain. What is a TENS unit, and will it work for me? TENS is short for transcutaneous (trans-kew-tay-nee-us) (across the skin) electrical nerve stimulation. TENS uses a small, pocket-sized electrical stimulation unit. It can be used up to 24 hours a day if needed to help control pain. It is usually issued by a physical therapist (PT), but only if you have not found other ways to control your pain. Also, a prescription from your doctor is required for you to use one of these units on your own. TENS treatment stimulates your nerves by sending a small electrical current gently through your skin. Some people say it feels sort of like a massage on their skin. Electrical stimulation can ease pain by sending impulses that your brain feels instead of pain. Two respected scientists discovered a theory, called the Gate Theory. It says that when you feel a sensation other than pain, like rubbing, massage, or even a mild electrical impulse, your spinal column will actually “close the gate” and not let pain impulses pass to your brain. In the case of electrical stimulation, the electrical impulses speed their way across your skin and onto your central nervous system much faster than pain. By getting there first, the electrical information “closes the gate” to pain, blocking its passage to the brain. Once the pain eases, muscles that are in spasm can begin to relax, letting you move and exercise with less discomfort. Other settings on the unit can be used to help your body release endorphins (en-dor-fins). Endorphins are natural chemicals produced by your body that can lower the sensation of pain for up to eight hours at a time. Will I need to have therapy until my pain goes completely away? Because back pain is unpredictable, it is not realistic to expect that you will be pain-free when you complete your therapy treatments. Every effort will be made to help take your pain away, but you should measure success by how well you can manage your spine condition—even if you still have pain. The first goal of treatment is to find ways of controlling your pain and symptoms. This can include the use of treatment interventions like heat, ice, and manual therapy. By helping you understand how your spine works and which positions and movements can be used to protect your back and neck, you may find it easier to manage your pain and symptoms. As your symptoms begin to ease, you will be given specific exercises to improve your mobility and strength. An important part of helping you manage your spine condition is called functional training, which can include posture and alignment, safe body movements at home and at work, and safe lifting techniques. Once your pain is controlled, your range of motion has improved, and your strength has started to return, you will be progressed to a final home therapy program. Your physical therapist will go over ways to take care of your soreness at home, and you will be given exercises to continue improving the range of motion, strength, and function of your spine. Will my doctor prescribe medications for my condition? Aspirin — over-the-counter pain relievers that can help relieve minor pain and back ache. NSAIDs — non-steroidal anti-inflammatory drugs (NSAIDs) are very effective in relieving the pain associated with muscle strain and inflammation. Non-narcotic analgesics — relieve pain at the point of injury. Narcotic pain medications — help relieve severe pain by numbing the central nervous system. Muscle relaxants — help a little in relieving pain from muscle spasm. Antidepressants — help relieve the emotional stress that often compounds the symptoms of back pain. General Caution: All medications can have side effects. Be sure to discuss these with your doctor before beginning to take any of these medications. My spine is really hurting but my doctor recommends conservative treatment. What is conservative treatment? Will it help as much as surgery? Back specialists use the term “conservative treatment” to describe any treatment that does not involve surgery. Sometimes, this can be as simple as reassuring you that it is not a serious problem, and recommending that you do nothing but watch and wait. Conservative treatment can also include medications to relieve your pain, physical therapy, and exercise. People with back and neck pain should also learn how to protect their spine by practicing good posture and doing strengthening exercises. How much longer will I need physical therapy? The goal of physical therapy is to help you control your pain and regain your best possible function. Once your pain is controlled, your range of motion is improved, and your strength is returning, you will be progressed to a final home program. Your therapist will give you some ways to take care of soreness at home, and to keep working on your range of motion and strength too. Before you are done with physical therapy, your therapist may take more measurements to see how well you are doing now compared to when you first started your therapy. With any surgery, there is a risk of complications. When surgery is done near the spine and spinal cord, these complications (if they occur) can be very serious. Complications could involve additional pain and impairment and the need for additional surgery. You should discuss the complications associated with surgery with your doctor before surgery. The list of complications provided here is not intended to be complete and is not a substitute for discussing the risks of surgery with your doctor. Only your doctor can evaluate your condition and inform you of the risks of any medical treatment that he or she may recommend. Nerve Damage — There are nerves in the neck that travel along the area where the incision is made to perform an anterior cervical discectomy and fusion. These nerves go to the vocal chords. There is the possibility that these nerves can be damaged during surgery. This can lead to hoarseness. If this occurs, the nerves will usually recover unless they are permanently damaged or cut. Again, this is unlikely. 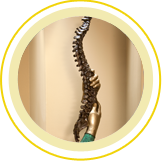 How can I keep from having problems with my spine after spine surgery? After spine surgery, it is possible that you could develop back discomfort in the future. To take care of your spine if soreness or other symptoms return, your physical therapist will give you a thorough home program when you complete your therapy treatments. Continuing with your home program is a way to keep your spine healthy over time. He or she may also show you how to control pain or other symptoms if they do not completely go away, or if they return in the future. These may include the use of ice, heat, positioning, or rest. I hear a crunching noise when I turn my neck. Is this bad? Should I have it checked? Popping sounds can sometimes be heard when a muscle or tendon slides over a bony bump. The sound you hear may also be the gliding of joints as you turn your neck. Articular cartilage forms a smooth covering over the surface of healthy joints. If your joint has been injured or becomes inflamed, the surface may thicken, creating a rubbing sound as you move. A courser grinding or crunching may indicate more advanced changes in the surfaces of one or more joints. Such changes can be caused by osteoarthritis (OA). OA can happen from normal wear and tear, especially when there has been a change in the alignment of your joint. Joint alignment can be changed following an injury, when your muscles are tense or in spasm, or from poor spine postures that have been used over the years. A physical therapy program to help with your posture and muscle balance can improve movement in your neck and may help stop the noise. Healing tissues require a fresh and steady supply of blood. Your supply carries needed oxygen, nutrients, blood cells, and other important healing agents to the area. It also provides a way for chemicals, enzymes, and other debris to be flushed away. Smoking puts nicotine in your blood. Nicotine causes blood vessels to become narrower (vasoconstrict) (vase-oh-con-strict), which limits how much oxygen, nutrients, blood cells, and other important healing agents can get through. Certain parts of your spine, especially in the lumbar area, have naturally limited blood supply. Smoking after spine surgery can further limit the blood supply. This can slow the healing process, and may even lead to other complications during your recovery. You can maximize your ability to heal by stopping smoking well before surgery and staying smoke-free at least until well after surgery. You may even want to quit smoking permanently. Your doctor can give you some helpful ways to stop smoking. My doctor has suggested that I have a spine fusion in my lower spine. How will this affect my ability to bend over? There is not very much movement in the joints of the lumbar spine when you bend forward. The total amount of flexion (fleck-shun) (bending) at each level of the lumbar spine is only about three degrees. Most of the movement of bending forward takes place at your hips, so as long as your hips are okay, you should not have any problems bending forward after lumbar spinal fusion. I have metal screws in my back from a spine fusion. Will I be able to go through a metal detector at the airport? Yes. Most metal implants will not set off a metal detector. But if you have a concern, your doctor can provide you with a card confirming that you have metal implants in your body. If I have a spine fusion surgery using metal screws and rods, will they ever need to be removed? What are the risks of minimally invasive spine surgery? MIS is associated with the same risks as any general surgical procedure. During the procedure, however, the surgeon may decide to convert from minimally invasive to traditional surgery if visualization is limited or if other complications arise. Spinal decompression and spine fusion surgery are two common surgical procedures that can be performed using minimally invasive surgical approaches. How quickly you can go back to doing the activities you enjoy after spine surgery depends on the type and location of your surgery. 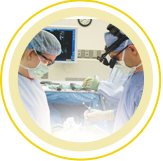 For example, a micro-discectomy requires much less healing and recovery time than a fusion surgery. It also depends on the stress of the activity. You will need to begin any activities gradually, and in a gentle, controlled manner. You do not want to cause yourself pain—or worse, re-injure your spine. Be sure to follow all recommendations from your doctor and physical therapist. Be patient, and follow your rehabilitation program closely. It has been developed to give you the best chance of returning to full function. No activity is worth causing more injury to your spine. My doctor has suggested that I have a spine fusion surgery using a metal plate in my back. Will my body will reject the metal plate? The human body rarely rejects metals that are used in surgical implants. Most metal implants used in spine fusions are made of either stainless steel or titanium. Alloys are another type of metal that may be used in a fusion surgery. An alloy is a mixture of several metals such as cobalt, chrome, and nickel. A good rule of thumb is that if you can wear a watch or jewelry without problems, you are not likely to reject a surgical implant. Sometimes implants may have to be removed because of an infection, but this does not mean that your body has rejected the implant. Is minimally invasive surgery a new technique? Are lasers used in spine surgery? Yes. The laser is being used in spine surgery mainly to treat disc problems. A procedure called thermodiskoplasty (ther-mo-disk-oh-plas-ty) is when your surgeon uses a laser to change the shape of a disc. This procedure may be used in combination with microdiscectomy (mick-row-disk-ek-toe-mee). Although the use of lasers in spine surgery is still pretty new, it shows promise as a minimally invasive way to treat disc problems of the spine. It reduces scarring around the nerve roots and can lead to a faster recovery. Also, the hardening effect that lasers have on the disc itself may help keep your spine from becoming unstable after disc surgery. If I have surgery to take out a disc in my back, what will replace the disc that the doctor removes? Usually, surgeons do not remove the entire disc. Instead, they take out just the material in the middle of the inside of the disc. After a simple discectomy surgery, scar tissue fills the area where disc material has been removed. When a fusion using a bone graft is needed, the disc is taken completely out and the bone graft is put in place of the disc between the two vertebrae. In an anterior interbody fusion surgery, a metal cage may be used in place of the disc between the vertebrae. Total disk replacement (TDR) may be a solution for some people with degenerative disc disease as an alternative to spinal fusion. TDR can reduce the risk of bone graft donor site pain and pseudarthrosis (sewd- arth-row-sis), which is improper movement of a joint after healing. One of the artificial discs with the longest clinical history is the CHARITÉ® Artificial Disc. Approved in August 2006, Prodisc is the first FDA approved artificial disc on the market. It has been approved for use in patients that have one diseased disc in the lumbar area of the spine. I’m scheduled for a spine fusion of my low back. Will I be able to get up and walk without difficulty after I have surgery? After spine fusion surgery, some people need to use a walking aid such as a walker or cane for a short time. When you start walking, do a little at a time and be careful to avoid injury and complications. Try not to overdo it the first few times you get up and walk. Build up gradually to avoid a flare-up of symptoms. I’ve had pain and problems with my low back for many years. What can I expect from my spine surgery? The surgical procedure for lumbar surgery can last from one to eight hours depending on what needs to be done. For example, spine fusion usually takes much longer than discectomy. Many people report immediate improvements in the way they feel after awakening from the surgery. However, strengthening your weakened muscles and soft tissue surrounding and supporting your trunk will require a long-term program of exercise and physical therapy. Although many people see and feel immediate improvements, they often get added benefits with a comprehensive rehabilitation program. My surgeon says I need a fusion between the C5 and C6 vertebrae in my neck. How can I turn my neck after it is fused? Your ability to turn your head takes place mainly between the two joints at the top of your cervical spine. When you turn your head, about 50% of the movement happens between the first and second levels (between C1 and C2). The other 50% takes place between all the other neck vertebrae combined. So a fusion of one level in the lower part of your neck will not drastically affect your ability to turn your neck, probably less than 10%.